Neuroanaesthesia is a critical part of any Neurosurgical procedure. At IAH we focus on patients undergoing Brain or Spinal Cord Surgery and provide patients a stress free surgical experience ensuring their safety at all times. The type of Anesthesia being used depends mainly on the type of surgery being performed. Neuro-anesthetic management can have a major effect on the brain and spinal cord through the control of blood flow to the Brain and vital organs, blood pressure and energy consumption of these organs. At Indo American Hospital, Neuroanesthesiologists and Neurology faculty work closely with the Neurosurgeons to deliver state-of-the-art perioperative and neuro-critical care to ensure that our patients have the best outcomes. Anaesthesia is provided in the neurosurgical operating rooms and in the Neuro-interventional Radiology suites by experts in this area. Patients in all areas are under advanced neuro-monitoring using sophisticated state of the art monitoring techniques and equipments. This helps the Neurosurgeons and Neuroanaesthesiologists provide a very high level of care and ensures patient safety and recovery to the fullest degree possible. The Neuroanesthesiology department provides Anesthesia in the operating rooms, Neuroradiology and in the MRI and CT suites. Type of monitoring of brain and spine functions required for the surgery like awake surgeries for certain tumours and epilepsy surgeries, electrophysiological monitors used during surgery, etc. At IAH we ensure that each and every patient gets the best care and support available in any developed country in the world. We are committed in ensuring patient safety and comfort at all times during the patients most stressful periods before, during and after surgery. Dr. B. Madhusudhana Rao completed his MBBS in 2003 from M.S. Ramaiah Medical College, Bangalore. In 2009 he pursued his MD Anesthesiology & Intensive Care from the Postgraduate Institute of Medical Education and Research (PGIMER), Chandigarh, a premier institute & a center of excellence. Further he did a Post-Doctoral Certificate (PDCC) course in Neuroanesthesia in 2011 at the Sanjay Gandhi Postgraduate Institute of Medical Sciences (SGPGIMS), Lucknow, which is a premier institute in the country. Later on in 2014 he completed his DNB in Anesthesiology at NBE, New Delhi. 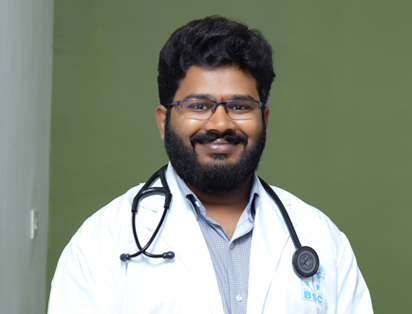 He completed his DM (Neuroanesthesia) in 2015 at the Sree Chitra Tirunal Institute for Medical Sciences and Technology (SCTIMST), Trivandrum, Kerala which is an Institute of national importance under the Govt. of India. 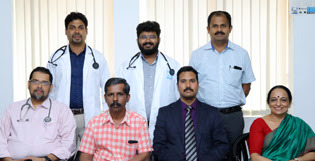 Dr. Jaser Mohamed Iqbal completed M.B.B.S from Government Medical College Thiruvananthapuram, in 2006. After that he attained M.D. (Anaesthesiology) from Kasturba Medical College, Mangalore. 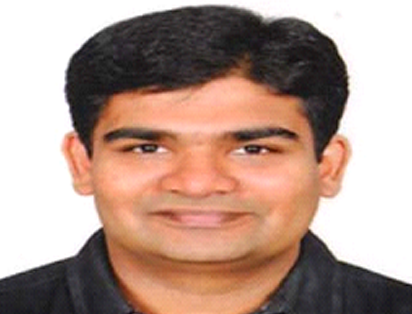 He worked as a Senior Registrar, Lakeshore Hospital and Research Centre, Cochin before joining IAH. Dr. Marcose Winston completed M.B.B.S from Rostov State Medical University,Russia, in 2006. 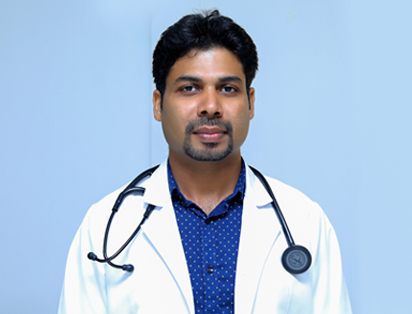 After that he attained DA (Diploma Anaesthesia) from Jawaharlal Nehru Medical College Belgaum, Karnataka, and DNB (Anaesthesiology) from Lakeshore Hospital & Research Centre, Kochi, He worked as a Registrar, Kerala Institute of Medical Sciences, Trivandrum before joining IAH. Unlike in other general hospitals, members of the Nueroanaesthesia team at IAH are experts focused in providing Anesthesia care for neuro surgical procedures varying from simple to complicated procedures. The type of procedures for which we provide expert Anesthesia care includes Brain surgery for trauma, blood vessel malfunctioning, aneurysms, occluded arteries, trauma, complex spinal surgeries etc. Our Neuroanaesthesia group is highly experienced in the provision of anaesthesia for these and other surgical challenges.The neurology group consists of well qualified Neuro anesthesiology consultants equipped with state of the art Anesthesia machines, Monitors and Ventilators.